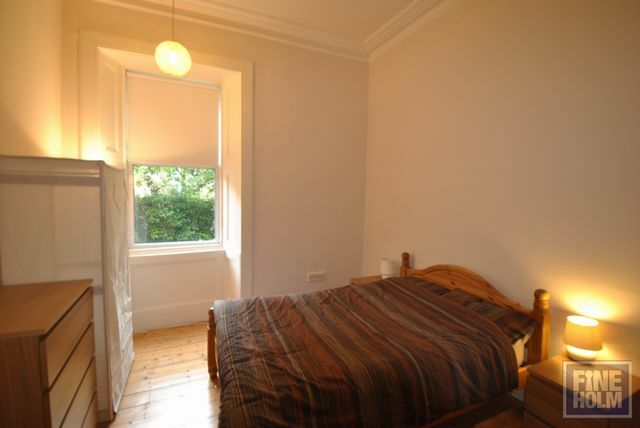 This large ground floor flat is situated on Marchmont Rd which is a stones throw from the popular Meadows area. With the park a minutes walk away and an abundance of bars, cafes and restaurants close by this flat is ideal for young professionals and families alike. Large dining kitchen which is ideal for entertaining with all usual appliances, 2 double bedrooms both with adequate storage, study/3rd bedroom with balcony style bed, shower room and huge living room with stripped floorboards and feature gas fire. Well presented throughout and in immaculate condition.